You love to wear men's work clothes that make you look professional. Designs that bring you confidence and style aren't often ideal for your line of work since you require flame-resistant protection. However, this Ariat Work FR Men's 10013511 Moisture Wicking Strip ... (see full details) (see specifications) #10013511. You love to wear men's work clothes that make you look professional. Designs that bring you confidence and style aren't often ideal for your line of work since you require flame-resistant protection. However, this Ariat Work FR Men's 10013511 Moisture Wicking Stripe Button Down Shirt offers the safety you need and the professional appearance you seek. When it comes to flame resistance, you can trust this men's button-down shirt because it meets and surpasses the requirements for a number of safety standards and ratings. For starters, the FR men's shirt has an Arc Thermal Performance Value (ATPV) of 8.9. The rating is assigned to flame-resistant work clothing, and it indicates the amount of protection provided by the garment. Aside from the ATPV rating, the Ariat flame-resistant shirt for men meets the requirements for the National Fire Protection Association's 70E and 2112 standards. The NFPA standards require employees to wear flame-resistant attire if there's the possibility of exposure to electric arc flash. In particular, those who work in oil and petrochemical industries are required to wear flame-resistant clothing if the potential for flash fire exists. This men's long sleeve shirt will keep you guarded against flames because it passed the requirements set by the standard, and it's rated for its performance as well. You can trust it will protect you. But this men's flame-resistant shirt has more to offer than just protection. It can offer safety while at the same time offering style. The Ariat FR workwear is also designed with vertical stripes in coffee bean brown and white it will really make you feel like a true cowboy. The rugged FR garment also features a button-down design and a folded collar that can be buttoned down into place. On the left of the chest on the design, you can find a pocket that doesn't have button or flap closure. The long sleeves are made with folded cuffs at the end, too. 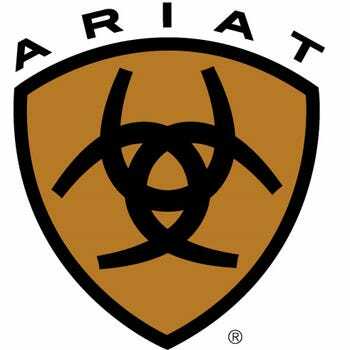 Lastly, this Ariat Fr product features a pleasing fit that will make you look professional and feel good. And as an added bonus, this men's striped work shirt is moisture-wicking. When you're facing the heat, you won't have to worry about sweating through your work attire. Increase your confidence in your professional appearance and your ability to stay safe with this Ariat Work FR Men's 10013511 Moisture Wicking Stripe Button Down Shirt. Get it here at Working Person’s Store today. Ariat Work FR Shirts: Men's 10013511 Moisture Wicking Stripe Button Down Shirt is being added to your cart.